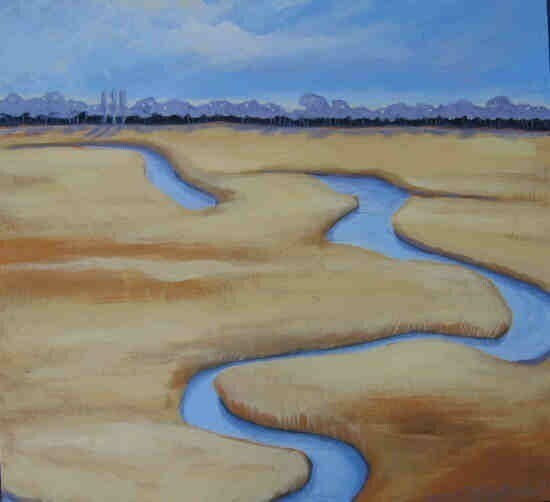 This is from my series of marsh paintings now offered as notecards. Each card is printed in full color on my inkjet printer and comes in a protective sleeve. Each card measures 4 1/2" by 5 1/2" and is printed on matte stock.